When customers contact you, having context from previous voice and digital interactions creates a better experience. 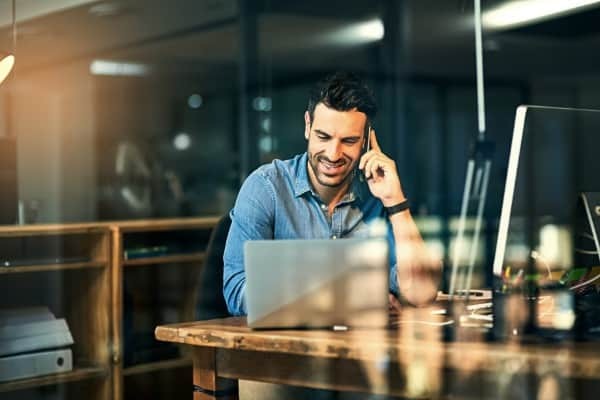 Personalize that experience with Genesys, and make it conversational using natural-language capabilities and blended artificial intelligence (AI). Personas based on demographics or customer preference further personalize the experience. 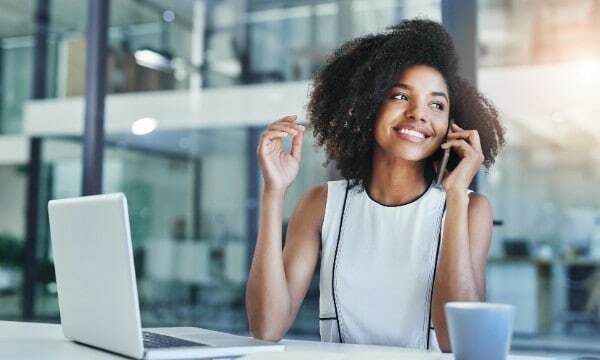 By combining self-service with personalization, you can transform your self-service IVR system into a valuable asset for building customer relationships. Let your customers pay bills during a self-service transaction or with a payment app that’s used during an assisted expert interaction. Reduce risk with native and proven capabilities for omnichannel self-service when payments and other sensitive transactions are protected through PCI compliance—all under one platform. Quickly deploy new omnichannel self-service microapps that reflect best practices in business processes and give you a competitive advantage. One customer refreshed their self-service IVR application in eight weeks, instead of the typical 11-month deployment, for faster time to value. Use microapps with automatic support across voice and digital channels, including web chat, Facebook and mobile, to design and personalize customer experience in a single process. Our open-access approach lets you fully integrate with other Genesys capabilities, as well as third-party data sources—including natural-language processing and AI engines—to create conversational self-service, business process automation or intelligent apps. Built-in self-service analytics gives you full visibility into how customers move through their self-service journeys. Because it’s easy to understand these journeys, you’ll see significant savings and improve customer experience through continual optimization. Your voice self-service system (IVR) has a direct effect on the quality of the customer experience. Customers value businesses that are easy to work with, and IVR applications that let customers help themselves with routine tasks put your business in that category. They also reduce cost of service. Increase self-service completion rates by offering more natural interactions. Speech enablement in the PureConnect platform lets customers use their own words to tell you why they called. Create powerful speech recognition applications for contact centers of all sizes. A simple, built-in and cost-effective solution provides accurate results, reduces complexity and eliminates costs for separate ASR software, hardware and services. Advanced ASR applications, such as Nuance, offer high-recognition accuracy and enable more natural conversations with several language options. Utilize existing applications—written in industry-standard VoiceXML—and take advantage of speech recognition technology without application development costs. While self-service is critical to modern customer experiences, sometimes customers need to speak with an agent. When that happens, make sure they don’t have to explain their problem again. Omnichannel communication tools let you track customer interactions and maintain context across their entire journey. Define business rules for when to present an option for assisted service. Intelligently route interactions to the most qualified agent using information collected within self-service. Provide swift inquiry resolution by seamlessly tracking data across self-service and assisted-service channels. Customers become frustrated when they’re forced to wait on hold. Show your customers that you value their time with the callback feature in the PureConnect platform. Providing a callback option improves customer experience by putting the customer in charge. Because customers are connected to the best agent resource to resolve their need, agent productivity is improved and issues are addressed correctly the first time. Mitigate the effect of unanticipated spikes in call volume and improve your call center SLA metrics—abandon rate, AHT, FCR—with omnichannel callback. When customers contact you, offer them a better experience by using the context from previous interactions in every channel to address their issue. With the Genesys PureEngage™ platform, you can personalize the experience and make it conversational using natural-language capabilities and blended artificial intelligence (AI). By combining self-service with personalization, one telecom customer transformed their self-service IVR system from a top source of complaints into a valuable asset within 12 months. Because the IVR system offered context, self-service and deflection rates rose 38%, representing direct savings of more than €1.2m per annum. In addition, the company’s Net Promoter Score (NPS) jumped from 5.6 to 6.2 within one month of going live. Genesys self-service capabilities let you quickly respond to changing customer needs. Belgian postal services company Bpost was tired of making costly and time-consuming changes to their IVR; it was inefficient and compromised their customer experience. The company used the intuitive Genesys self-service solution to improve its capabilities from making a maximum of about four changes per year to making more than 400 changes in the first six months after implementation.